Q: What ages does Discovery Sports Academy and World of Discovery Summer Day Camp of Queens, New York serve? A: Ages 4-15 years for both summer camp programs. Q: How long are the summer day camp programs? A: The Discovery Sports Academy offers 2-8 week instructional programs. There are also 2-8 week programs available for World of Discovery Summer Day Camp of Queens, New York. Q: How do your prices compare with other Summer Day Camps? A: We are extremely competitive-among the reasonably priced-and also offer discounts for more than one child per family. Q: How is summer camp transportation handled? A: We have a relationship with one of the region’s premier bus companies. This organization adheres to a strict employee/driver screening program and uses new vehicles equipped with seat belts to ensure the highest standards for safe dependable transportation. Each child is picked up and dropped off door-to-door at prearranged times. Q: Does your summer camp take any special precautions with regard to transportation? A: At the beginning of each camp program, we conduct dry runs to make sure that all drivers and bus couselors know their routes. For added safety, all buses are staffed by bus counselors. Bus counselors are the first people picked up and the last to be dropped off. You will be provided with their cellular phone numbers in the event that you need to reach them. Q: Do you hold Parent’s Days or other summer camp orientation programs? A: At World of Discovery Day Camp, we have a motto, "Every day is Parent’s Day." We encourage family members to visit for a first-hand look at what a Discovery Summer is all about. We guarantee you’ll wish you were a kid again! Q: Can my child be in the same group as his/her friend? A: Our goal is to make you and your child happy. We have no problem putting your child in the same group as his/her friends. Q: My child is not going to be starting until the middle of the summer. Will he/she feel left out? A: Not all campers begin summer camp at the beginning of the summer. Many campers start at different points throughout the summer. Our summer camp staff is aware of this and is trained to make all children feel like part of the group regardless of when they begin. Q: My child is not very sports orientated. Are there other activities for my child to do? A: While our summer camp staff will encourage your child to be active and participate in sports activities, there are always choices. You child may choose to participate in activities such as arts and crafts, ping pong, knock hockey, hands-on science, nature walks and much more. Q: How does your summer camp compare with the other summer camps in Queens? A: Rather than tell you what other summer camps in Queens offer or do not offer, we prefer to let you know about what makes World of Discovery Summer Day Camp among the best summer camps in Queens, NY. Our summer camp staff is second to none when it comes to summer camps in Queens. Our summer camp staff of certified principals and teachers supervise our camp counselors to provide an excellent camper to counselor ratio. 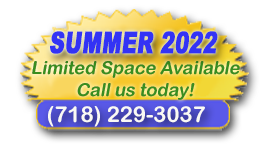 As far as summer camps in Queens go we offer a wide variety of quality trips and camper activities. We take pride in our amazing summer camp swim program that includes swim instruction by our team of American Red Cross certified lifeguards. Q: Everything sounds wonderful! How do I sign up? Q: Does my child need a medical form completed before summer camp starts? A: Yes, it is required. Please fill one out and return it to us before the first day of summer camp. In order to print a summer camp medical form, just open the summer camp medical form here and click "File" and then "Print..." to print up the medical form. Q: Is my child's summer day camp tuition tax deductable? A: Yes, it is. Please use the following Federal Tax ID# EIN: 11-3243720 when filing your tax return. Q: What areas does World of Discovery Summer Day Camp pick up in? A: Most of our campers come from Bayside, Whitestone, Flushing, Douglaston, and Little Neck. However, we also pick up in Fresh Meadows, Malba, Middle Village, Bay Terrace, Electchester, Windsor Park, College Point, Glen Oaks, Great Neck Terrace, Bellerose, Floral Park, Forest Hills, Rego Park, Hollis Hills, Jamaica Estates, Astoria, Jackson Heights, Queens Village, Woodside, Glendale, Ridgewood, Maspeth, Long Island City, Sunnyside, Ozone Park, Kew Gardens, Corona, Howard Beach, Cambria Heights, Rosedale, Laurelton, Hollis, St. Albans, Oakland Gardens, Richmond Hill and Holliswood. Q: What are the approximate pick up and drop off times in my Queens neighborhood? Summer Day Camp in Holliswood 8:00am pick up/4:00pm drop off. 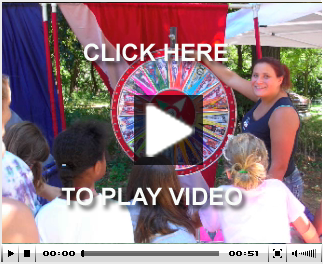 Q:What Towns and zip codes does World of Discovery Day Camp pick up in?